Full Service Florist. Satisfaction Guaranteed. Family owned and operated. Serving all the New York City boroughs. We specialize in high style and unusual custom designs. Corporate accounts welcome. Full service florist. Satisfaction guaranteed. Family owned & operated for over 75 yrs. Specializing in custom arrangements. If you can imagine it, we can design & deliver with a smile. New York's most exciting flower shop. Serving all hospitals & funeral homes. Fresh same day delivery. 100% guaranteed, same day delivery. Sunflowers, fruit baskets, and tropicals. Beautiful designs for all your special occasions. 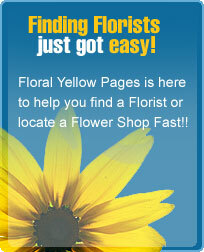 65 years experience from Queens oldest florist. Full service florist. Satisfaction guaranteed. Family owned & operated for over 27 yrs. Specializing in high style custom arrangements. If you can imagine it, we can design & create it. Daily delivery to all hospitals & funeral homes. Full Service Florist. Satisfaction Guaranteed. Family owned and operated for over 30 years. Specializing in unique and high style custom arrangements. Our goal is to exceed our customers expectations with excellent quality and customer service. Serving all hospitals and funeral homes. Corporate Accounts Welcome. Full Service Florist. Satisfaction Guaranteed. Specializing in unique and unusual arrangements. Serving all hospitals and funeral homes.